The Nalu Slide takes all the comfort of our classic Ohana, and offers it in a slide version for your go-to, all-day slide. Fully adjustable to accommodate a range of foot widths, decorative stitching detail on upper, side perforations for breathability and an embroidered hook logo detail. 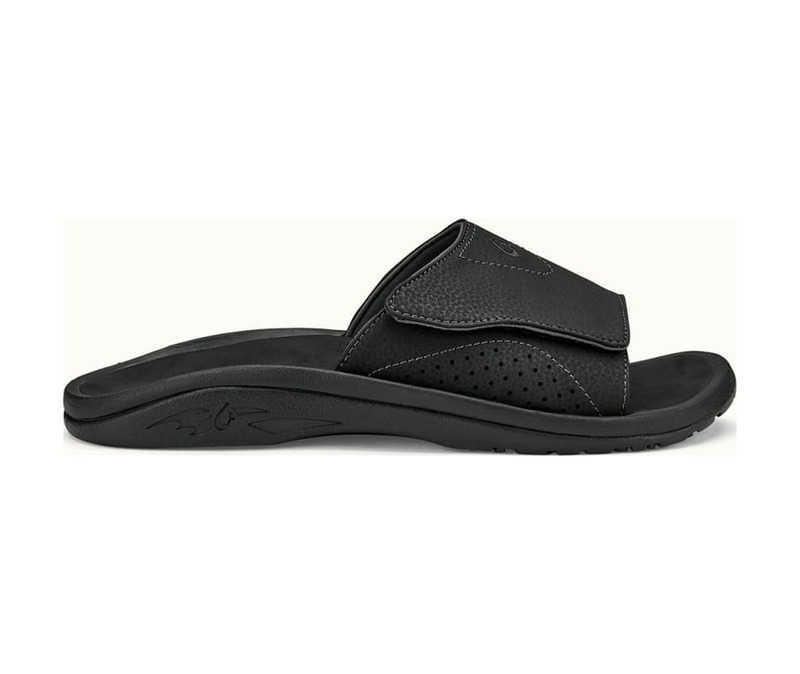 Olukai's vegan friendly footwear offers the durability, traction and support you expect from OluKai while using 100% high-quality synthetic materials, 0% animal products.